I have uploaded many apps in my blog for your Android's Gadgets, you may also check Android File Browser V2 use it to manage your files as you like, also check Advance Task Manager Pro to boos your android speed by switch off your unwanted process, and more more apps for your Android. Now I have uploading a protector for your android app's, private information/data, personal images, secret text. 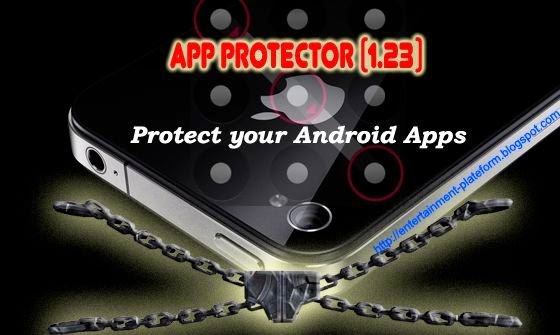 Simply download App Protector in your Android and install it. You can enjoy following features of App Protector. You can lock your secrets.